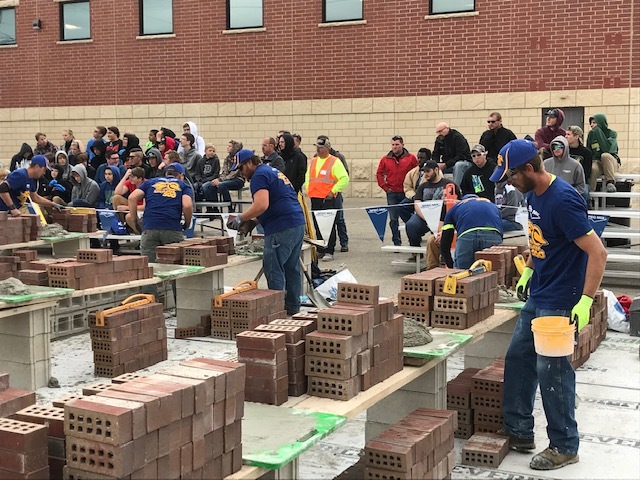 Menasha, WI – The 2018 SPEC MIX BRICKLAYER 500® Regional Competition for Wisconsin was held at Miron Construction, in Menasha, WI on Thursday, September 27th. 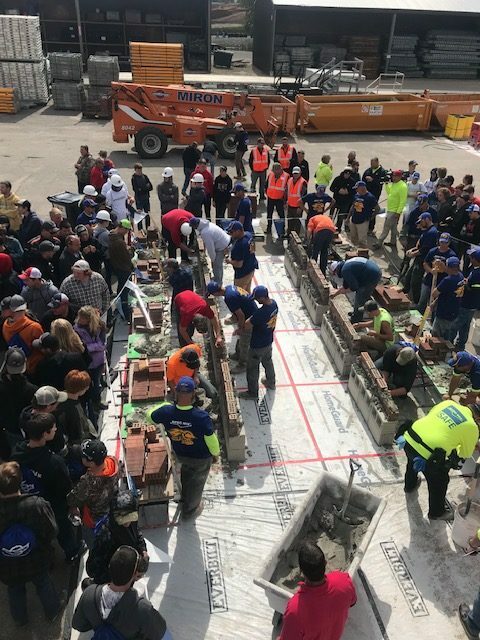 Ten teams of brick masons and tenders vied for a competition spot in the 2019 SPEC MIX BRICKLAYER 500 World Championship Competition held in Las Vegas, Nevada on Jan. 23, 2019 during the World of Concrete. The qualifying national competitors will battle for a chance to win over $125,000 in cash and prizes, including a Ford F250 XLT 4X4 truck and John Deere Gator. 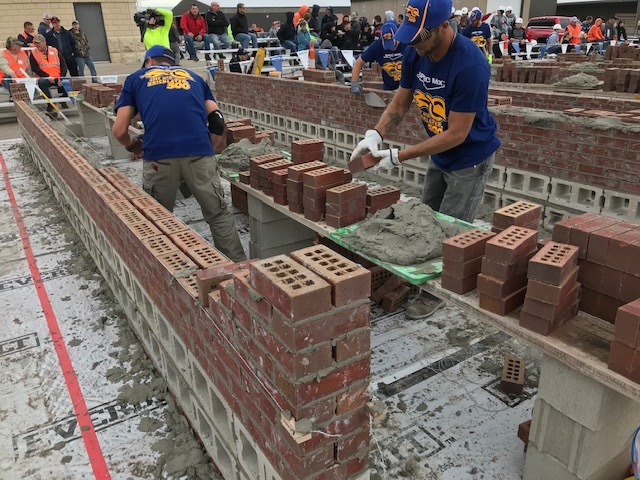 The Wisconsin event drew very skilled bricklayers and the battle was fierce, but in the end Mike Schlund, a mason with Kowalski Masonry, Wausau WI, and his mason tender Joe Sautner, edged out the rest of the competition to take home first place. 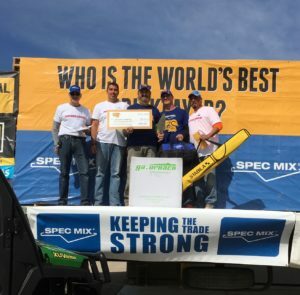 His net count of 407 brick earned him the opportunity to compete in the 2018 SPEC MIX BRICKLAYER 500 in Las Vegas as well as $650 in cash. 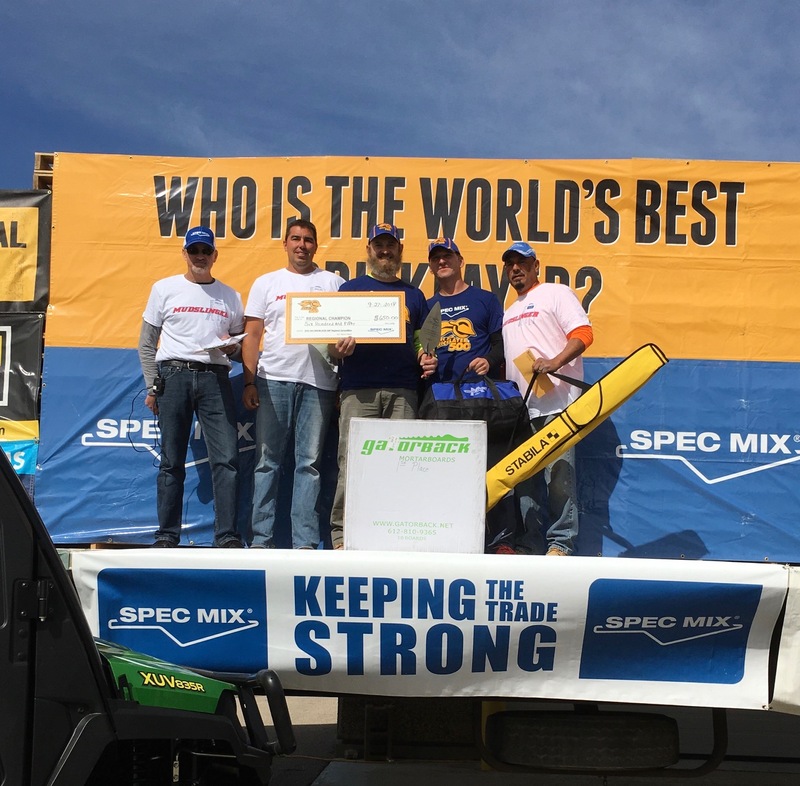 The SPEC MIX TOP CRAFTSMAN Award went to Roman Graebel and his mason tender Greg Korslin of Miron Construction, Neenah WI earning him $650 cash for Top Craftsman. 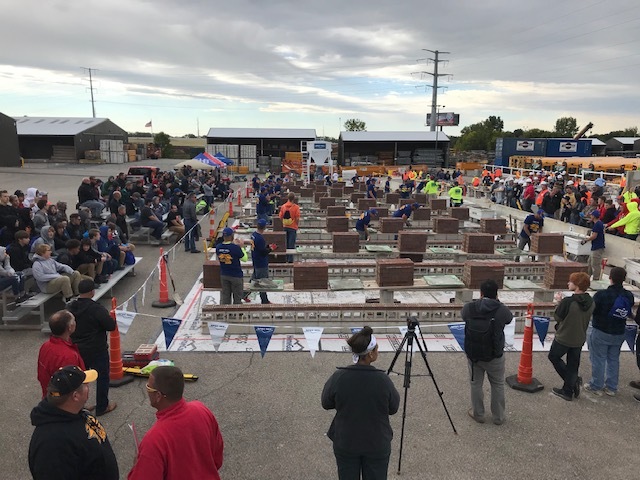 Second place went to mason Kyle Spensly and his mason tender Tim Pavlekovich of JP Cullen, Janesville WI with a brick count of 388, taking home a prize of $400. 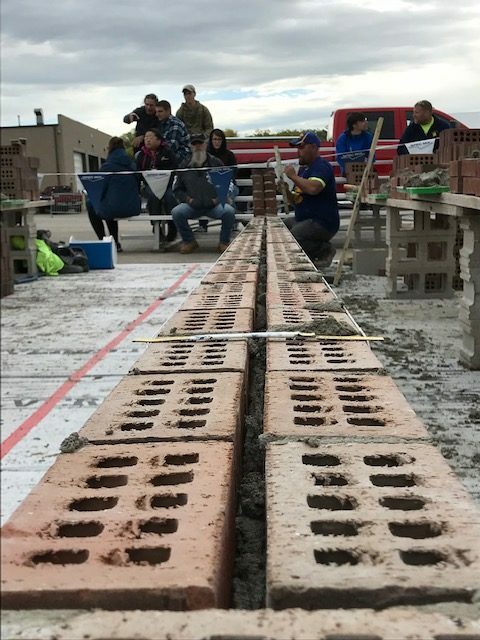 Third place went to mason Cory Firkus and his mason tender Rob Wangen of Firkus Masonry, Stevens Point WI with a brick count of 370 brick taking home a prize of $300.